Nurse Tanya Strange has been awarded an MBE in the Queen's Birthday Honours list for services to nursing in Aneurin Bevan University Health Board. Tanya (pictured), who works closely with CFW on several initiatives, has been praised for her work linking the healthboard with the independent care sector. Policy adviser Melanie Minty said: "We'd like to offer our congratulations to Tanya - the honour is well-deserved. She works closely with nursing homes and CFW in the area on initiatives the CHaT programme, matrons' forum, nurse training, Think About Me etc. 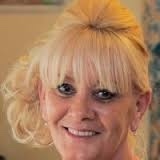 "I think it fair to say that Tanya has a real understanding of the issues facing care homes and is a great exponent of working in partnership. All health boards need a Tanya!" added Melanie.